How many times have we heard this? Someone is mad because the 3% pay increase has been reduced to 2%, or because jeans are no longer allowed at work. Someone is upset because the extra PTO day offered as an incentive for excellent production wasn’t awarded, even though the team didn’t meet the goal. Entitlement – it rears its ugly head from time to time. 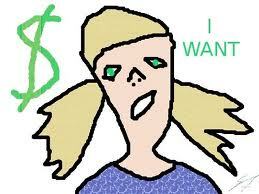 The term “entitlement” refers to the belief that we deserve some particular reward or benefit. Period. Not because we met or exceeded a goal or expended exceptional effort but because we believe someone “owes” us something simply because we exist. I googled the word “entitlement” this morning to see what others were saying about it. I found a lot of blame. Let’s blame it on the parents of the GenYers; they gave too many trophies! Let’s blame it on the employers of the Baby Boomers; they offered too much security and comfort. Let’s blame it on the economy, let’s blame it on the employers’ “reaction” to labor shortages. The blame game…Google it and play along! I suppose I could play too but it makes me feel like a victim. I find it more empowering to look in the mirror. What have I done to create…or nurture…my staff’s feeling of entitlement? Have I given a decent/good performance evaluation when, in reality, the performance was mediocre? Have I redone my staffs’ work rather than forthrightly telling them it was wrong? Have I “job sculpted” for someone, removing duties rather than conceding the employee simply can’t do the job? Great! I have applauded low expectations and created entitlements. Have I offered a raise, approved Paid Time Off or some other benefit as a bribe to motivate an employee to simply “meet” my expectations? If so, I have encouraged the “reward regardless of merit” attitude and now have nothing to motivate the employee to “exceed” my expectations. Have I failed to communicate or define the “why” when benefits or rewards are offered? Do my employees understand what criteria were used in decision making? No? Excellent! They now think I give willy nilly (true HR technical term) gifts and am an arbitrary and capricious manager. I’ve also thrown away an opportunity to motivate and encourage discretionary performance and instead, created either distrust of my “position power” or an entitlement. What about you? Have you done similar things? Are you caring for and feeding the entitlement monster at your workplace? If so, stop the madness! Leaders should define reality for their staff – and the reality is that often, it’s unreasonable to expect or demand benefits and rewards. Are there certain inalienable rights in the workplace? Absolutely! I believe all are entitled to a productive environment free of harassment and discrimination. I also believe all should be treated with dignity and respect. But has everyone earned a raise or an extra Friday afternoon off? It is highly unlikely. 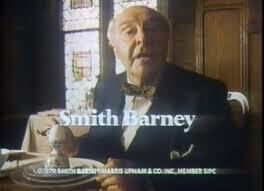 Do any of you remember the John Houseman Smith Barney commercials that were so ubiquitous in the 80s? http://www.youtube.com/watch?v=Oxh7lhASX4Q The catch phrase, “They make money the old fashioned way…they earn it!” outlines a very clear plan for success: work hard and you will be rewarded. Perhaps some of the points below can help you discourage and/or prevent an entitlement mentality in your workplace. Empathize, don’t sympathize. Sympathy validates the person or tells him/her you agree or share the belief. However, empathy shows you are listening, trying to understand and that you care they are upset. Ask questions. Being inquisitive (without being snarky or condescending) can help the employee realize the reality, reasonableness and necessity of the situation. Avoid continued bribing and/or offers of benefits. Compromise is good but blindly offering one benefit for the loss of another doesn’t solve anything, and giving a reward “in the hopes” that performance will follow will likely backfire. Avoid getting angry or frustrated. Defensiveness will serve to validate and/or encourage the employee’s frustration. Try to avoid rhetoric or persuasion. There may be 100 great reasons why the benefit has gone away but the fact is, the employee wants it back! Trying to persuade agreement is a waste of time. Communicate the truthful “why.” Many employees need to hear the “why” and need to trust the decision was made for the betterment of the business. Define what success looks like in the position, present the employee with the performance criteria and be honest when he/she doesn’t meet it. Be consistent and (dare I say) fair. Logic, objectivity and reliability will nurture understanding in the workplace; understanding leads to acceptance. I’ll leave you with one last thought. In an atmosphere of entitlement, rewards are not tied to effort and thus, employees feel powerless to effect change and to grow. Therefore, give a gift to your employees this week. Build a workplace where employees earn rewards the old fashioned way…they earn them.